Welcome to Part 2 of 2, Sellers: A Difficult Market, Tamed, With An Understanding of Probabilities. In last week’s Part 1, we looked at the understanding of probabilities with buyers in San Carlos. This week we will focus on Sellers. Your initial reaction to seeing the words “Difficult Market” along with “Sellers, San Carlos” may be to give an exaggerated eye roll. With the market so one-sided, what could possibly be so difficult on the selling side? The answer: a lot. If your friends are anything like my friends, over 90% of our time together is spent on a good-natured ribbing of one another. In fact, there is usually nothing of any value whatsoever that comes from any of our times hanging out. They are convinced that all I do is pound my sign into the front lawns of San Carlos properties, break out a lounge chair, sunglasses and a margarita and watch the offers roll in. They really are a quality support system. The funny thing is that, in a sense, they are right with regard to the incredibly lopsided market in San Carlos. However, what they don’t realize is just how high the stakes are with maximizing the price. (1) The overwhelming preference for San Carlos buyers right now is the flats, specifically, Howard Park, Oak Park and White Oaks. You may have an identical home in the hills with a view, but the demand for your home will not be nearly what it is for the three aforementioned areas. (2) You may have a truly stunning house, but you took your entire lot to do it. Great backyards or the ability to make a great backyard is the most underestimated point of resale by sellers in San Carlos. The great room remodeling craze of the last fifteen years is about to be rivaled by some truly fantastic backyard remodeling options. Our homes may be a bit undersized in San Carlos, but you can live outside seven months of the year. Backyards are slowly becoming a secondary living space. Buyers will pay a premium for this option and not as much when the home is lacking at least an average backyard. (3) Many sellers in San Carlos price their home according to comps in their neighborhood but ignore items with substantial impact on value such as their own home’s deferred maintenance or layout flaws. Once you have a better understanding for the level of demand for your home, you can price it accordingly. Many sellers mistakenly think a single strategy of slightly underpricing a house in this type of market is a good way to go. Quite frankly, this can be a dangerous proposition for some homes and it should not be uniformly applied. If you find your home falls more into Group A, above, most likely underpricing the home by a certain margin is the correct strategy. However, if you are pulling more from Groups B and C, your pricing strategy will probably need to be a bit different. Applying the correct pricing strategy will increase your odds of maximizing your profit. It’s not exactly an earth-shattering revelation to say that first impressions matter to buyers, but let’s take that a few steps further. If you were to think of a buyer’s first impression of your home, you would probably imagine them walking through your home admiring all of the things that you really enjoy and find attractive with your property. This is not a bad assumption, but it is most likely wrong. Times have changed in real estate. A buyer’s first impression of your home will not be them walking through your home, but rather them viewing it online. With new technology such as the Matterport technology (which can be viewed by clicking here), a buyer can virtually walk through your home in almost the same manner as they would at an open house. It is no longer acceptable just to post photos and virtual tours of a listed home online and expect a maximum response. Having a spectacular, pure HD, virtual experience of your home online will greatly enhance the interest in your property. My personal opinion on first impressions is that most buyers make up their minds within 30-60 seconds on whether a home is worth investigating further or not. Your online presentation has never been more critical. (A) Price is a Clear Number One. On the initial pass, line the offers up by price. It is the most important term in your multiple offer situation. (B) Certainty of Close. The odds of the transaction actually closing is definitely a clear cut number two, right behind price. If you have an offer that is $50,000 over the next highest offer but it only has a 50% chance of closing, should it really be your first place offer? 5. The offer submitted is not thorough, missing accompanying paperwork, etc. All of seven of the points above, when taken cumulatively, will start to layout a probability with regard to your best option as a seller. However, if you are only able to take one thing away from this post, remember that while the market is very strong for sellers, maximizing your potential profit starts long before your home even hits the market. 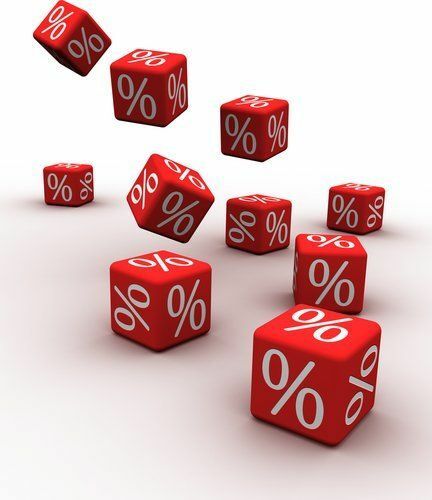 Pricing, presentation, strategy and the handling of offer situations, are all part of setting out probabilities for your sale. Doing it effectively, and not just pounding a sign into your front yard, is the difference between simply selling your home and maximizing the profit.